How Do I Know If My Identity is Stolen? Avoid the hassle of resolving ID theft alone. Join Complete ID and let our restoration specialists guide you through the process. Identity restoration is a complex, interwoven process. You could be stuck with endless calls across multiple departments with countless companies and government agencies. With Complete ID, we’ll guide you through it, and can take action on your behalf. Complete ID’s Restoration Specialists will be there at every step of the process. 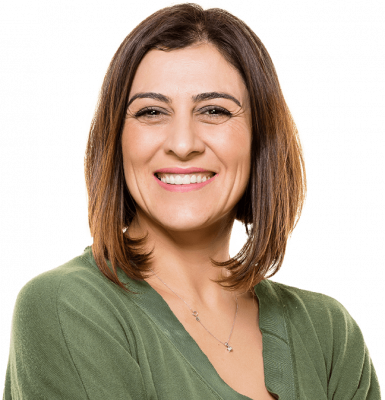 You’ll have a direct line to your Identity Restoration Specialist and they will walk you through the entire process to assist you with your case. They can even file the paperwork and make calls on your behalf. Once you call, we help take it from there. It’s really that simple. Our Identity Restoration Specialists are standing by to help you. Never feel isolated or ignored as a victim of ID theft. You’ll have a direct line to your dedicated restoration specialist until your case closed. 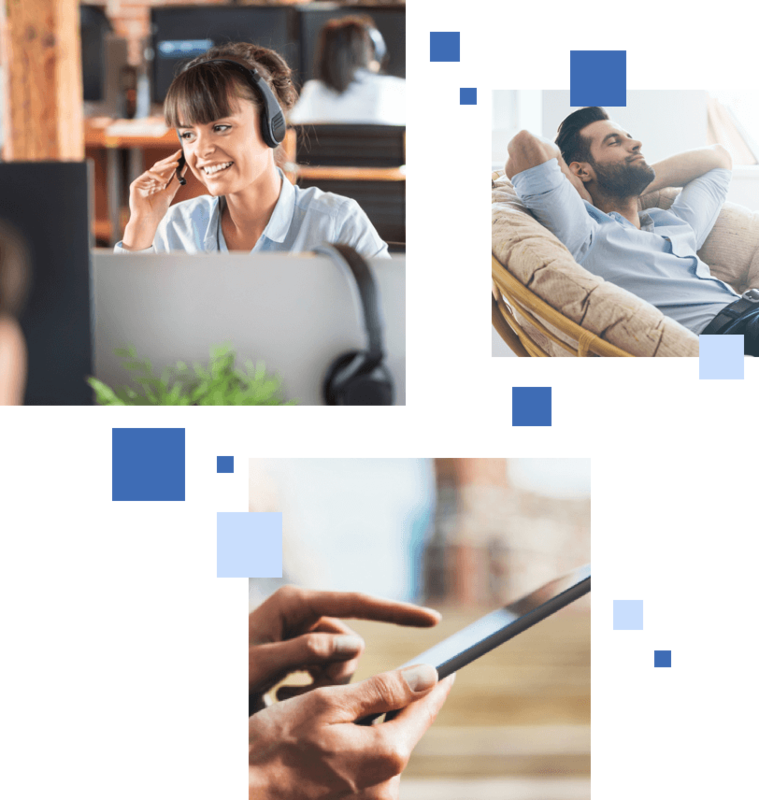 We want you to have a singular point of contact for all questions and status checks— without going through any automated call systems. That’s why you’ll receive the direct contact information of your dedicated specialist. As a member, you can rest assured that the person handling your case is an expert in the restoration process with hands-on experience and the numbers you need on speed dial. Our team’s value doesn’t end at knowing what numbers to call and what boxes to tick. They can also approach every case with an understanding of the emotional toll identity theft can have. Our specialists have limited power of attorney2 and can take action on your behalf, sparing you the monotony of seemingly endless interdepartmental communications and administrative nightmares. 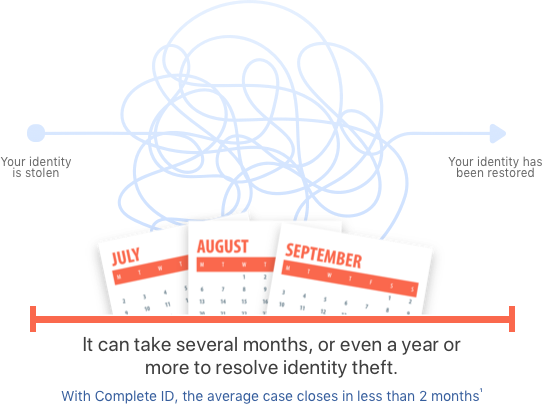 Only 16.8% of identity theft cases are resolved in under 6 months.§ With Complete ID, you benefit from a faster resolution process and assistance to avoid costly mistakes. We help you get back to living your life. It’s important to have support to cover the consequences when things go wrong. Your Complete ID membership comes with up to a million dollars towards the costs of identity theft recovery. If your wallet has been stolen or lost, Complete ID helps with securing and replacing your important documents, including your license and passport. Get the peace of mind that comes with knowing Complete ID is there to help. "I received an alert from Complete ID and I knew I had not initiated anything so I called the restoration team at Complete ID. They took care of everything. They even scheduled a follow-up call to make sure everything was taken care of. I highly recommend Complete ID to other Costco members." Real Costco member - name and photo have been anonymized to protect the identity of identity theft victims. Individual experience may vary based on the nature and extent of the identity theft. Based on cases closed from January 2018 to December 2018. Every identity theft case is different and results may vary. Median case closed in 37 days. Average case closed in 56 days. 1Based on cases closed from January 2018 to December 2018. Every Identity theft case is different and results may vary. Median case closed in 37 days. Average case closed in 56 days. 3Insurance is provided by Allianz. Reimbursement is underwritten by Interstate Fire & Casualty Company. This benefit is underwritten pursuant to an identity fraud blanket or group policy issued to CSIdentity Corporation, a Delaware Corporation. Coverage is subject to the conditions and exclusions in the Terms and Conditions in all states. Coverage is provided to residents of the United States and U.S. territories and possessions. †$8.99 per month per person for Executive Members or $13.99 per month per person for Gold Star and Business Members, plus sales tax where applicable. Service provided by Experian®. §Identity Theft Resource Center, Identity Theft: The Aftermath, Experian proudly provides financial support to the Identity Theft Resource Center. Has My Identity Been Stolen?